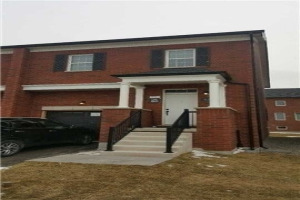 Amazing Brand New Executive Corner Unit Town Home (Sutton), 3 Bedrooms & A Den On Main Level Can Be Used For In-Law/Nanny Suite Or An Office. 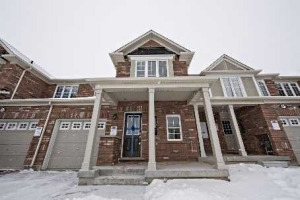 Open Concept Layout W/, Many Upgrades Hardwood Flooring Throughout Except Bedrooms, Pot Lights & Much More! Modern Kitchen W/Upgraded Cabinets, Centre Island With Breakfast Bar & W/O To Patio Great For Bbq's. Master Bedroom En-Suite & W/I Closet. Lot's Of Natural Sunlight. Much More To Add..
Close To All Amenities, Transit, Grocery, Shopping, Schools & Hospital. Fridge, Stove, Dishwasher, Washer/Dryer, A/A, All Window Blinds, No Pets Or No Smoking Allowed..